We're having some technical difficulties processing credit cards - but please still register online, and we'll charge your credit card at the event! 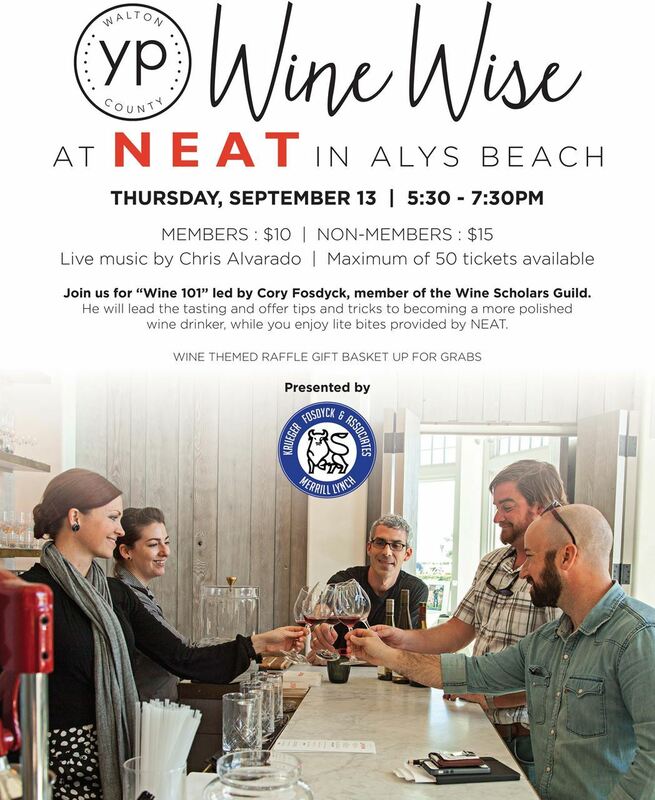 Wine Wise with YP at NEAT in Alys Beach! Learn the differences between each bottle, how to hold your glass, how to pair food with each wine and more while enjoying small bites and music from Chris Alvarado. Not only is Cory Fosdyck the co Founder of YP and Current Chairman of Destin Charity Wine Auction but he has also completed curriculum for the French Wine Scholar Certification - which is the equivalent to a Level II Sommelier!